Today, a great variety of radiopharmaceuticals is available on the market, each one capable of focusing on different organs and tissues. The purely diagnostic target is supported by an increasingly widespread use of radiometabolic therapy based on beta and alpha emitters. These therapies are proving their validity in clinical use on a growing number of patients. In this field, it is essential for an automated radiopharmaceutical injection system to offer maximum operational flexibility and compatibility with different radioisotopes and radiopharmaceuticals. 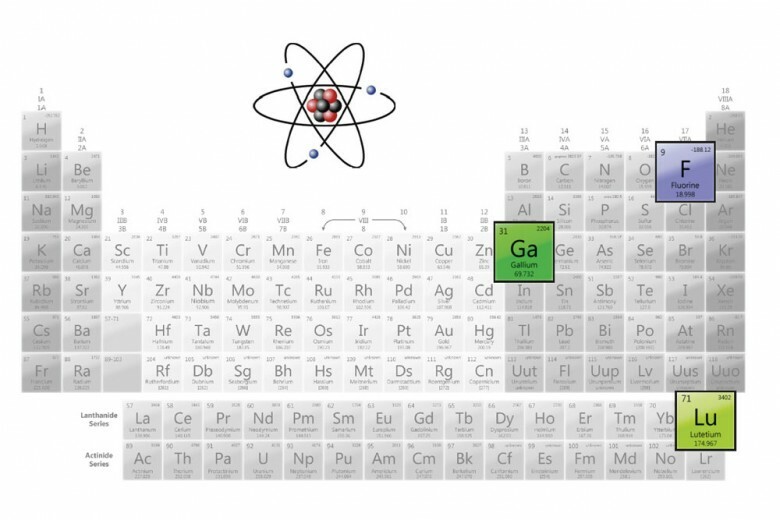 Therefore, this kind of system cannot afford to be used only on FDG, which, being the only protagonist of PET, is increasingly supported by a growing number of 18F-marked molecules and by other radioisotopes. For example, there has been an exponential growth of Ga68-based tracers, which has become an established procedure in the diagnosis of neuroendocrine tumours. With regard to radiometabolic therapy, isotopes such as 177Lu and 90Y, in their labelling variants, are still the main players in a market that is now opening up to highly promising therapies with alpha emitters, first of all Ra223, mainly distributed by Bayer in its commercial form. Ensuring operational flexibility that covers the largest number of daily procedures managed in nuclear medicine, starting from, but not limited to, FDG and finishing with the increasingly extended range of radiolabeled molecules. With the IRIS product, Comecer offers a unique and innovative vision that addresses these needs. IRIS is based on the assumption that the variety of radiopharmaceuticals currently available on the market is extensive and is likely to grow in the future. As shown, a system that forces us to use a single radiopharmaceutical is not capable of meeting all the needs of the department in which it will be used, and will do so even less in the future. Therefore, there is a risk that injector usage may be limited to a part of the daily routine, thus reducing the investment value. IRIS demonstrates this benefit on a very broad range of radiopharmaceuticals, going beyond mere diagnosis and extending to radiometabolic therapy. IRIS integrates a dose calibrator produced by Comecer Netherlands (ex Veenstra Instruments), a company that, over the last 20 years, has been a leader in Europe in the field of instruments measuring ionising radiation, especially dose calibrators. Its skills and expertise, applied to the core of the IRIS device, have allowed the integration of a compact calibrator that measures different isotopes, which is also applicable to beta emitters such as 90Y, highly critical in terms of form factors. The integrated dose calibrator allows accurate dispensing despite its compact size within the shielded compartment of IRIS. In order to approach radiometabolic therapies, IRIS is required to comply with the strictest regulatory requirements compared to similar products available on the market. An automated infusion process poses greater risks when applied to a therapeutic phase, with high activity and antineoplastic effects, compared to a diagnostic process with low activity and without the specific intent of releasing high doses on tissues. These greater risks must be properly addressed in accordance with the regulatory guidelines relating to this type of medical device (Class 2B). For this specific “intended use”, and therefore for IRIS, an IPX2 level is required in accordance with the IEC60601-2-24 standard relating to infusion pumps for diagnostic and therapeutic purposes. The IPX2 requirement is extremely strict and requires, for example, a “rain test” to be carried out (i.e. the device is placed under what can be defined as a water shower, which has no effect on functionality). This is generally not needed for this type of equipment used for injecting radiopharmaceuticals for purely diagnostic purposes. For IRIS, flexibility also means paying special attention to disposable sets. A disposable set is the actual container of the sterile product during the dispensing and injection process. It is therefore essential for the disposable set to be compatible with the drug. The disposable set is divided into two parts, the “daily disposable” (or batch), which is inserted into the machine and replaced with each production batch, and the “patient’s disposable”, which is replaced with each injection. The daily and patient’s disposable sets are connected through a connector that preserves sterility during the various infusions. During operation, the dynamics of fluid movement and a specific depression system created in the disposable set avoid the formation of air bubbles in the circuit. These bubbles are then eliminated by the dynamics of dispensing and checked through a dedicated bubble sensor. By delegating this reduction of air, which may be potentially present in the circuit, to the dynamics of the dispenser, a ventilated filter is no longer necessary to remove air from the circuit. In fact, a ventilated filter is an element that can affect radiopharmaceuticals. It is well known that different types of filtering membranes may have a “sticking” effect, namely, part of the radiopharmaceutical remains bound to the filtering membrane instead of flowing to the patient. In the case of FDG, this effect is almost negligible, and this results in non-criticality of the filter. In the case, instead, of high “lipophilicity” drugs, for example, the use of specific filtering membranes may be critical. 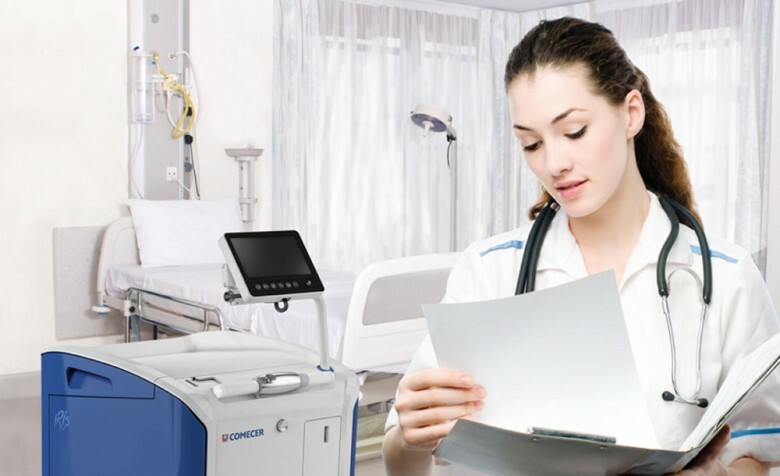 IRIS allows the evaluation (a Comecer technical analysis is necessary) of different types of filters connected to the patient’s disposable set, which can overcome any limitations imposed by the filter provided as standard in the disposable set. Since the absence of air in the lines is ensured upstream of the filter, it can also be a NON-ventilated filter, which is therefore chosen within a wider range in which filters are often validated for specific radiopharmaceuticals. Comecer is also working with radiopharmaceutical producers to adapt IRIS’s disposable sets to specific and highly active radiopharmaceuticals, with plastic materials such as PVC (generally used in most of the disposable sets of dispensers and injectors). For instance, several radiopharmaceuticals studied for the diagnosis of Alzheimer’s disease or, in general, which connect with beta-amyloids, are highly critical against plastics such as PVC and require special tubes in disposable sets, which are specifically designed. Thanks to the know-how acquired with the range of dispensers, Comecer is introducing disposable sets for IRIS that are specifically for radiopharmaceuticals of this type of tracer, which are extremely difficult to handle and dispense. For hospital operators, who deal with injections of radiopharmaceuticals on a daily basis, the growing radio exposure doses from radiometabolic therapies is becoming more and more evident. The gamma component that characterises these drugs or the presence of high-energy beta raises the risk level of such drugs, which are often NOT injected with fast processes and high flows to the patient but rather with a long-lasting infusion, no shielding (with suspended bag), allowing the tissues to absorb the dose properly. If this slow infusion is not adequately managed, it becomes a major source of radiation for hospital staff. 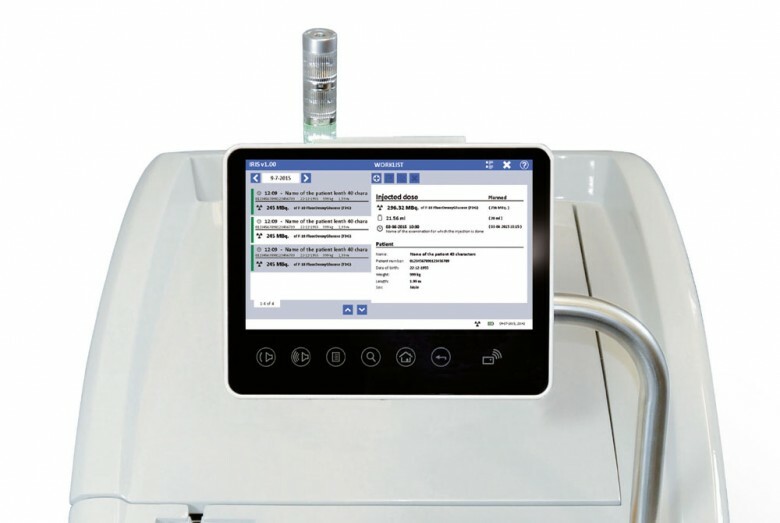 A shielded infusion pump such as IRIS thus becomes even more crucial as a means of protection for the operator. Guaranteeing that a drug for radiometabolic therapy, purchased already labelled or ready for infusion, can be considered equal to an FDG vial and can therefore be injected directly through IRIS, is a major added value for the safety of hospital staff. IRIS can make the use of radiopharmaceuticals available to centres where the absence of a hot chamber and of an adequate, classified laboratory did not allow for alternatives to the use of mere FDG and usual SPECT examinations. To conclude, “flexibility” for the IRIS system entails addressing the challenges posed by the ever-increasing diffusion of new radioisotope-labelled drugs and being prepared for the growing demand for flexibility in diagnostic and therapeutic procedures in the field of nuclear medicine. Comecer has designed IRIS to address these needs in advance while creating a tool that meets the highest safety and quality standards. To learn more about all the features of IRIS, please visit the dedicated page where you can also watch a video and download the datasheet.